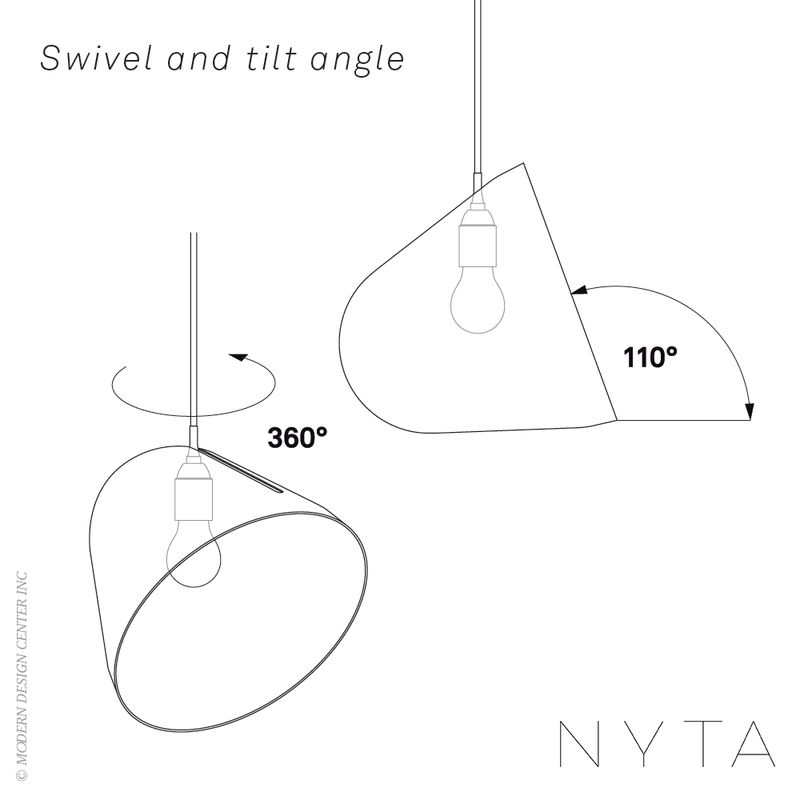 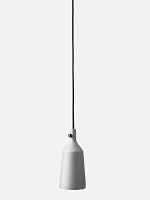 Tilt emanates an open and soft light, and directs it exactly where it is needed. 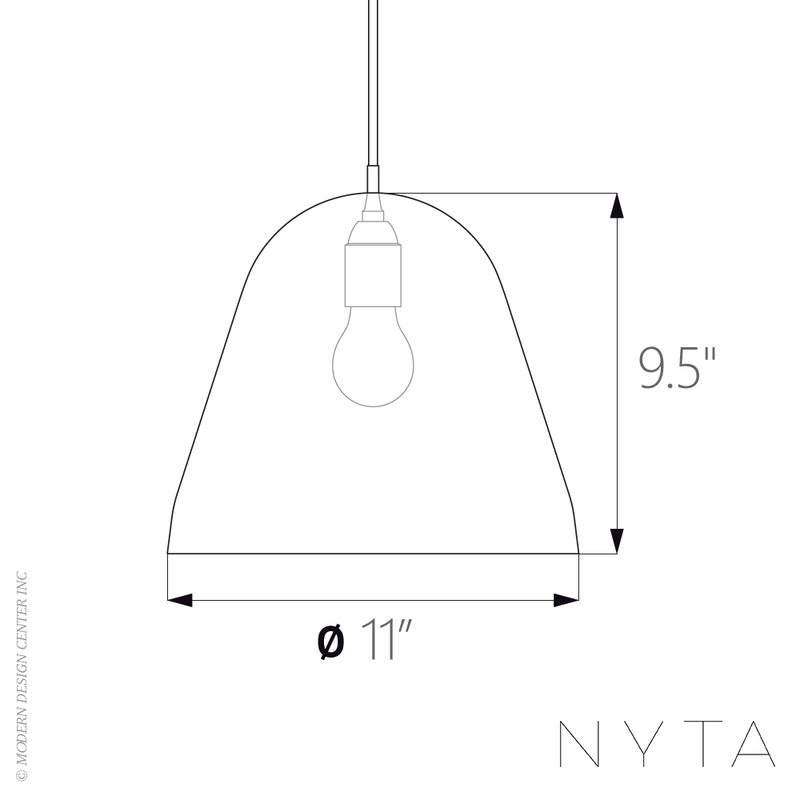 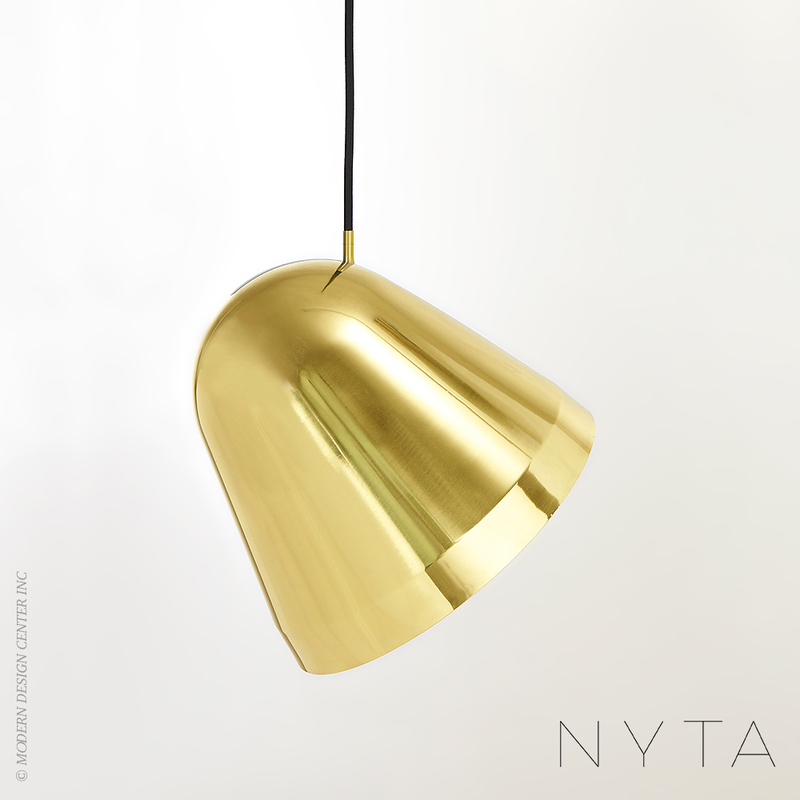 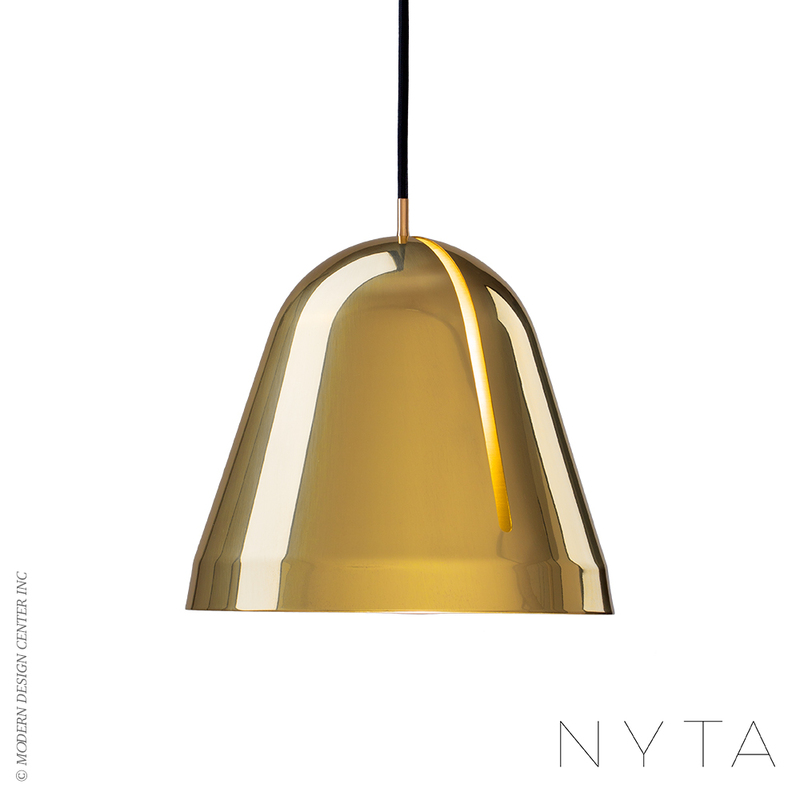 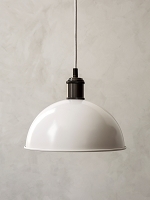 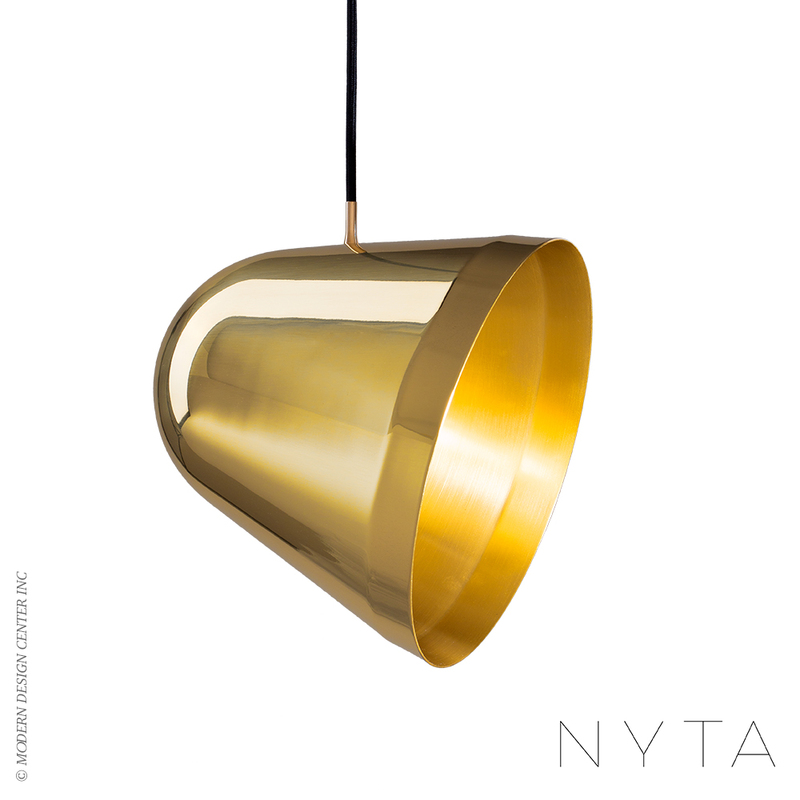 Easy, intuitive handling allows turning and swiveling the shade along its oblong opening in every direction. 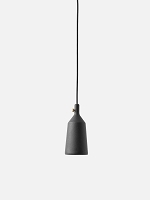 It works like a cupped reflector that you can freely move around the light source, thus gathering the light and directing it towards the space or object you want to illuminate. 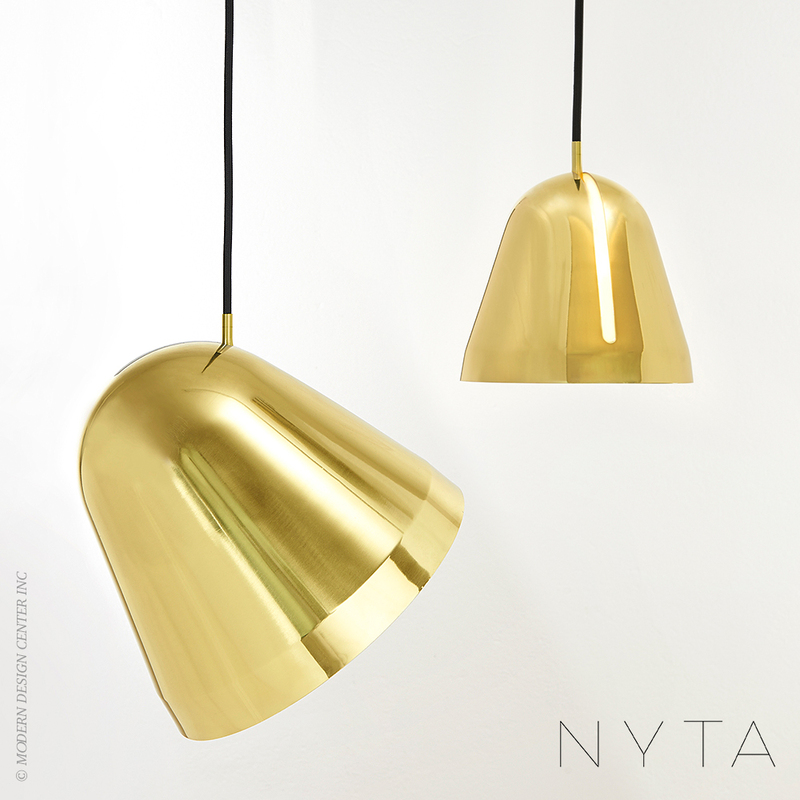 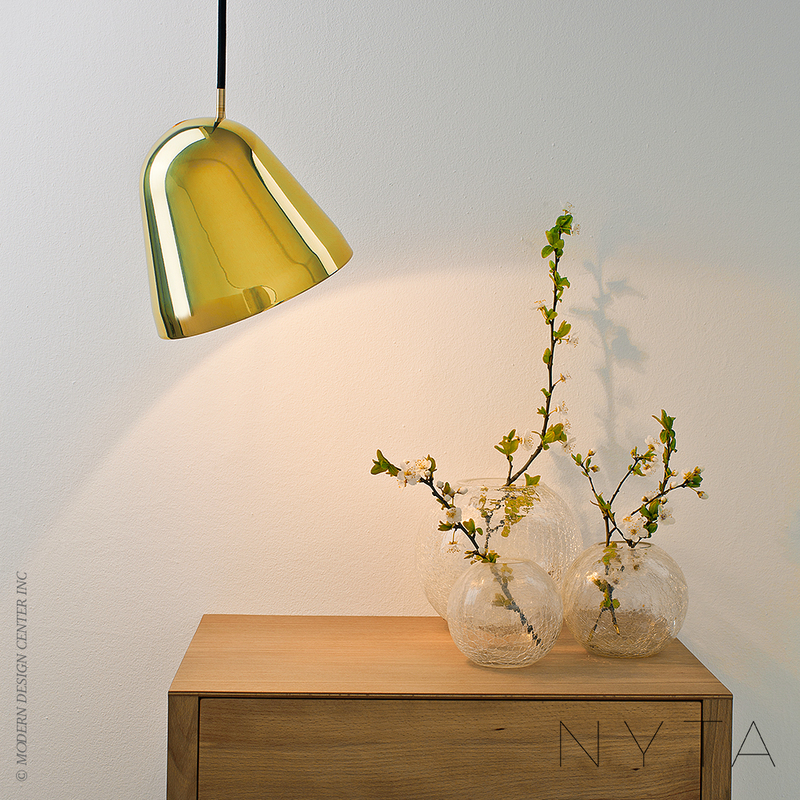 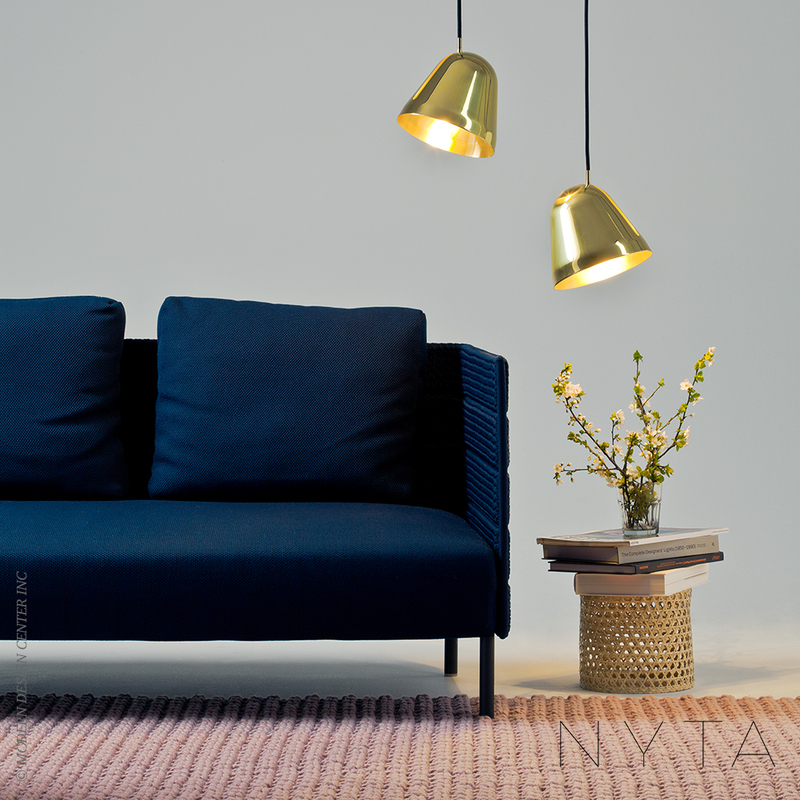 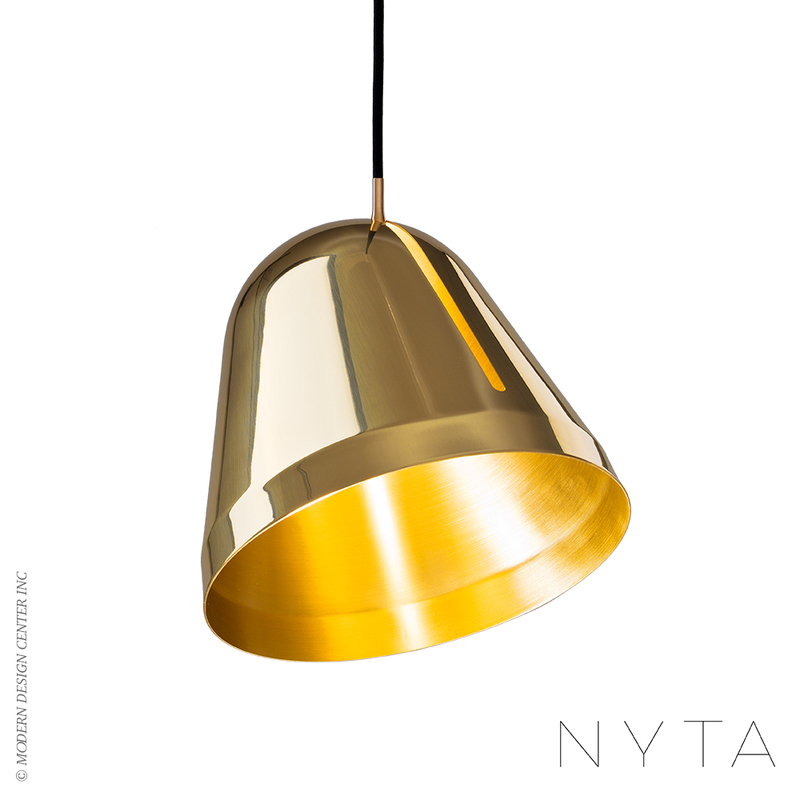 The solid brass shade, the guiding peg made from brass as well as the cloth-covered cord make for a high-quality and classy appearance in every conceivable environment. 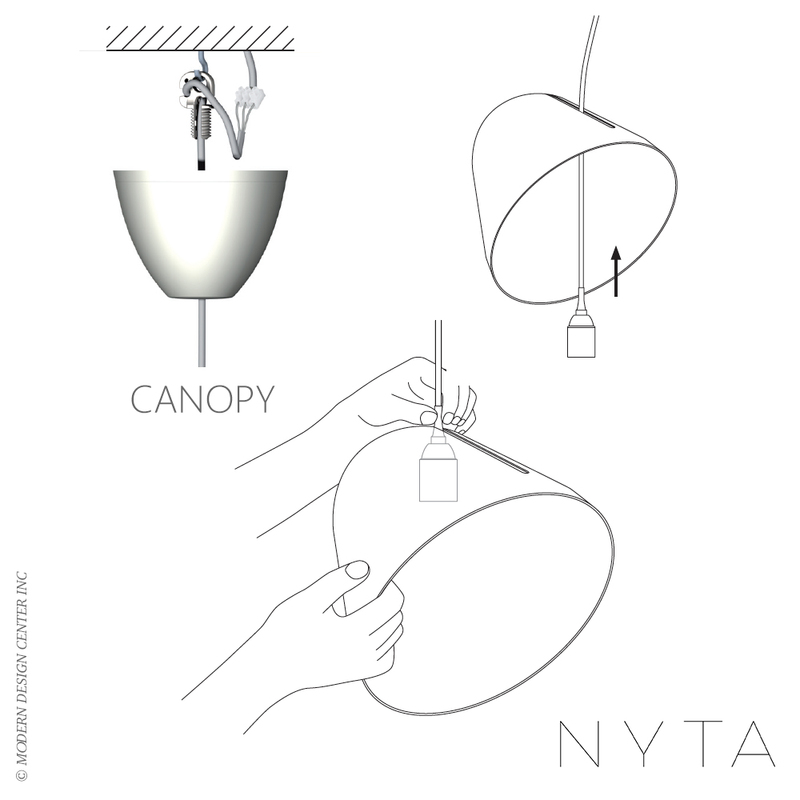 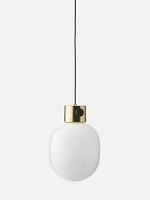 A self-fastening hanging mechanism provides solid purchase and cleanly holds the lamp in position.